A lesson I learned from Skip Ross, at a youth summer camp in Michigan, was how to prioritize and set goals. What a thrill it was to learn great wisdom every morning from this wonderful man. I learned that a goal not written down is only a wish. Also, visualization helps you reach your goals. Put things you want to achieve on 3×5 cards. Read them every morning and night. Also, cut out pictures of the things you want. Put them on a poster board so you can look at them daily. Before I went to the Circle A. Ranch I was getting a C+ average in school. The next school year, I was getting a B+ average. I was also very shy. I didn’t like this. My transformation into the person I am today started in high school as a result of setting goals. You can become anything you want to become in this life. Skip Ross would say, “Say yes to your potential.” Anything you can conceive and believe, you can achieve. About six years ago, I realized I had stopped dreaming and writing down goals. Life comes and goes quickly. Then, in the blink of an eye, one year turned into ten. I have always loved listening to motivational cassette tapes and audio books. So I started listening to them again with almost an obsession. Some audio books I listen to on a regular basis. In most of these audio books they talked about the importance of first deciding exactly what you want. Be specific by writing down your goals and visualizing what you want to achieve with emotion. I got excited with the idea of making a vision board after I heard the story of a man who wanted to live in beautiful mansion. He found a picture of a home in a magazine. He cut out the mansion from the magazine. Then he put it on his dream board. Four years later he was unpacking his dream board from one of his moving boxes. He realized the home on his dream board was the home he had just moved into. Dreams do come true. You can achieve any goal you want to achieve, if you believe. I made a dream board putting it on my bedroom wall where I can see it every day. One of the things I put on the dream board is, “Our family loves to travel,” with pictures of fun places to travel to. We have traveled more in the past six years then I ever dreamed of. We have been to Washington D.C, to see the monuments; Maryland to visit Cassie’s Dad; In Virginia we went to see George Washington’s home; Pennsylvania, to visit the Amish and Gettysburg, Delaware, to swim in the Atlantic Ocean. We went to California having fun visiting the Pacific Ocean and Disneyland. Later we went to Washington and Oregon to visit Cassie’s brother and go to the beach. 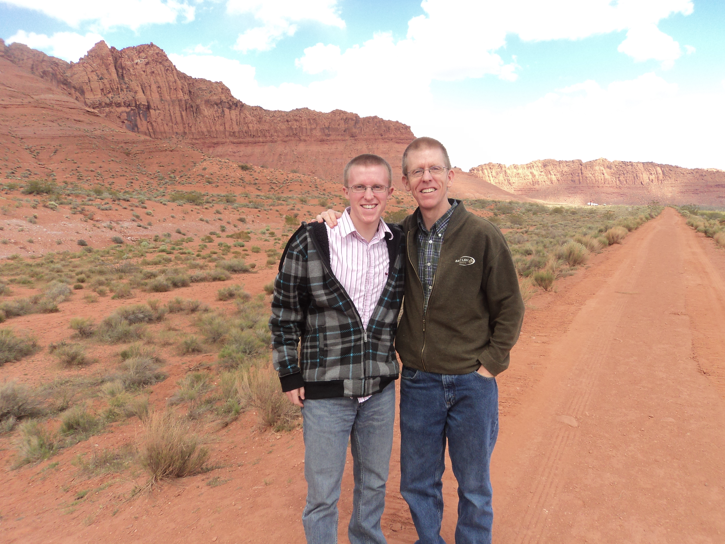 Then we went with my parents to visit the Grand Canyon and Zion National Park over a long school holiday. Another thing that my wife Cassie and I like to do is go to a community theatre where we have seasons tickets. We see wonderful musicals like My Fair Lady, or magical plays like A Christmas Carol. These are things we didn’t do until we put them on our dream board. I get excited just writing about our adventures. The next thing that I do is set a deadline for my goal. I wrote on my dream board, “I am excited we have bought season tickets to the community theater. Today is August 1, 2011.” Every year, this is when we buy our tickets. Every year we prioritize our goals, then we take action. Smaller goals don’t take as much planning. Our goal to go to the Grand Canyon was easier to achieve because we live closer to Arizona. Our goal to go to the Oregon Coast took more planning. We knew we wanted to rent a beach house and it would be more costly, so it took action on our part by planning to save our money and reserve the beach house. It was well worth the dream when we achieved this goal. Remember to do something everyday that will move you toward your most important goal, whatever it is at the time.